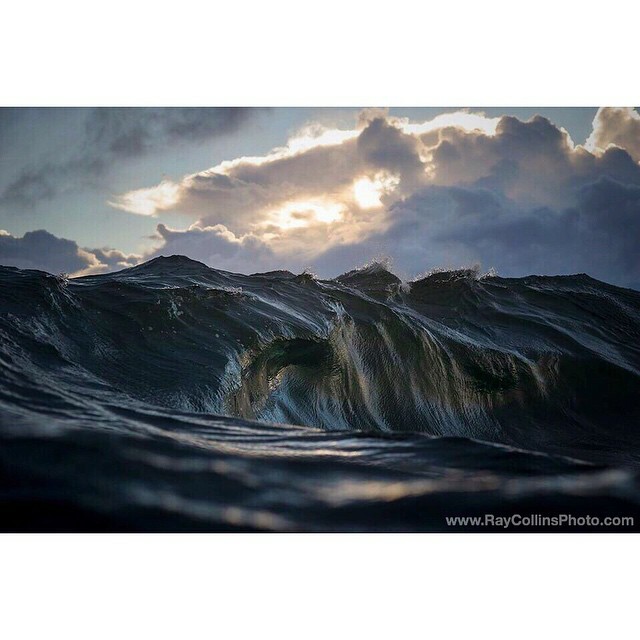 Award winning photographer Ray Collins wakes up every morning doing the same thrilling routine over and over and never tires of it. 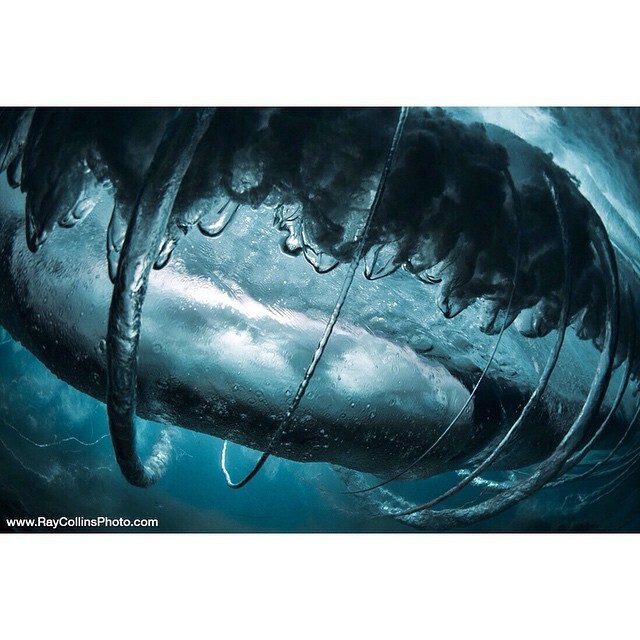 By the time day breaks, Ray is all set with his underwater camera and swims towards the giant swells to capture spectacular whirlpools of waves surfers would go crazy over. 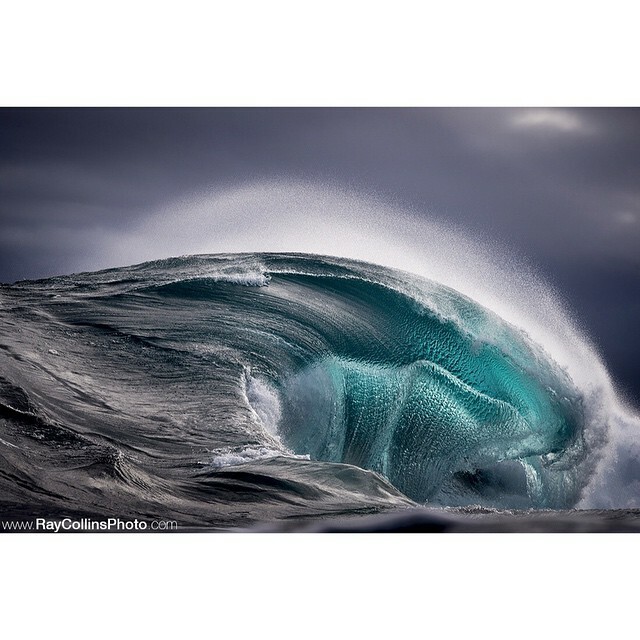 The 32-year-old adrenaline-pumped photographer from the land down under is now making a name for himself by chasing and documenting stunning wave formations around the world. 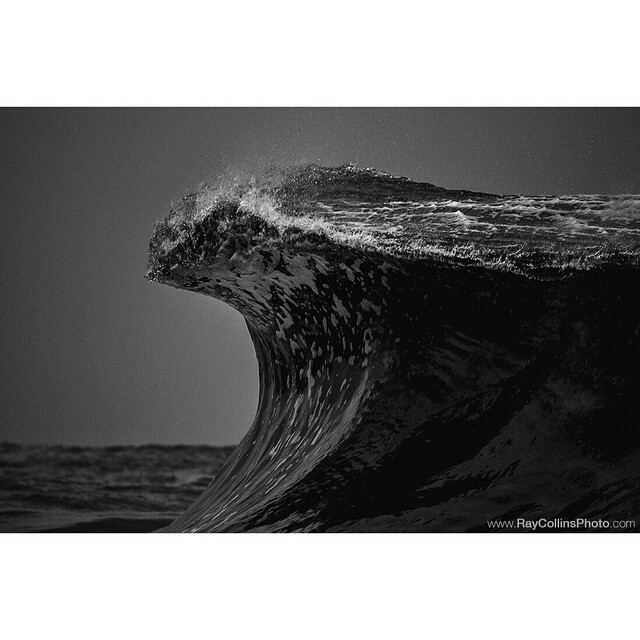 From the scenic beaches of Southeast Asia, Hawaii and to the cold waters of Iceland, his images have graced the pages of National Geographic, Patagonia, the in-flight magazines of United Airlines, Qantas and even on the ad campaigns of Apple and Nikon just to cite a few. 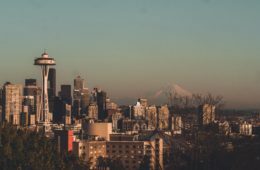 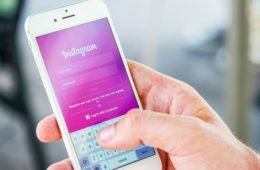 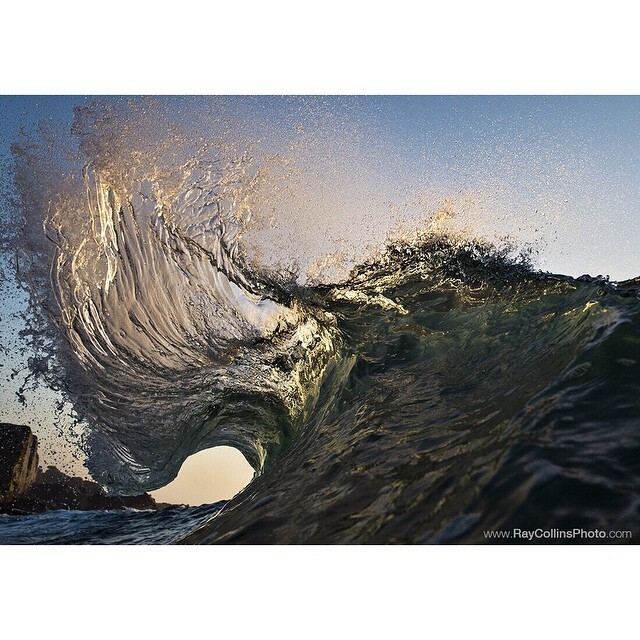 In addition to juggling a busy and successful career, Ray still manages to please his followers by posting his photographs almost daily on his Instagram page (@raycollinsphoto) that is being keenly followed by more than 84,000 people to date. 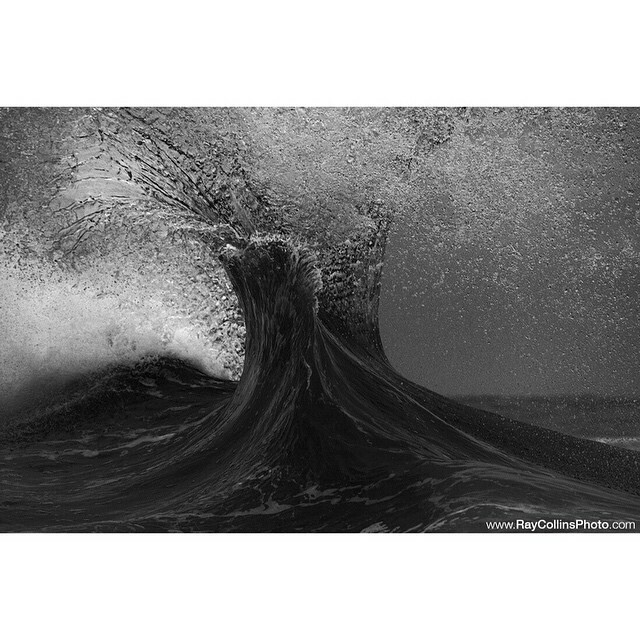 The former coal miner from a small town south of Sydney called Bulli has gone a long way with the publication of his photography book “Found at Sea,” a feat that cemented his reputation as one of the most creative ocean photographer in the world. 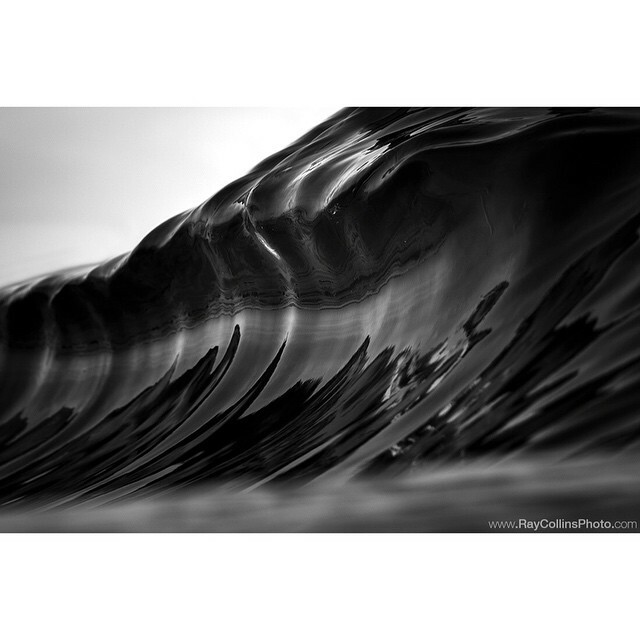 Since then, he has been recognized by various photography award giving bodies, winning such plums as Australian Surf Photo of the Year in 2012, the “Best of Show” and “Overall Winner” in the recent Ocean Art Photo Competition and was also a finalist at the prestigious Smithsonian’s annual photo competition this year. 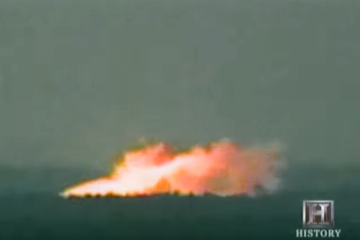 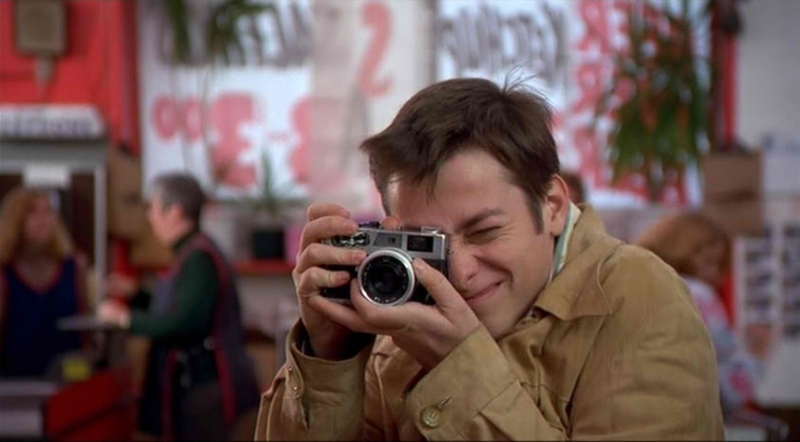 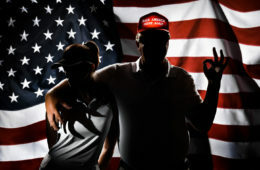 When asked about his shooting techniques, Ray was quick to point out that “Color is secondary to lighting. 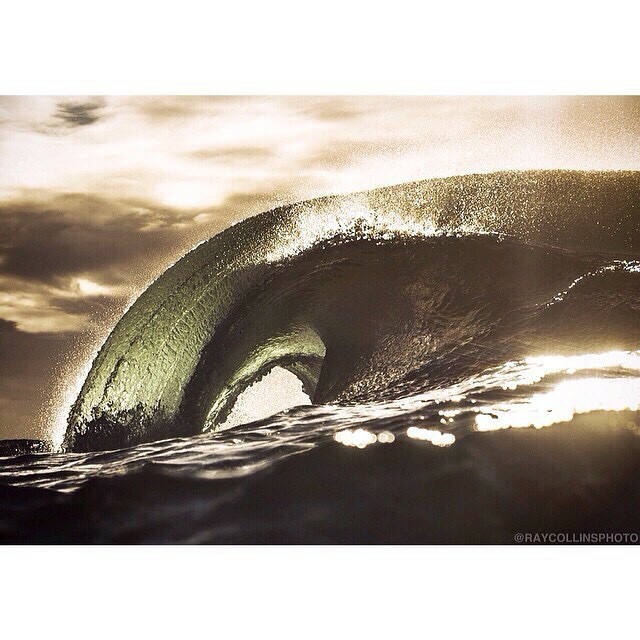 I think light is the most important thing. 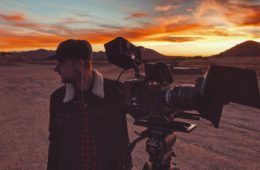 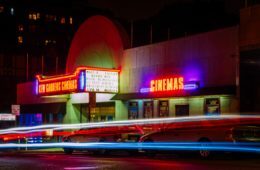 You can’t have a photograph without light.” Nowadays, Ray commonly uses a Nikon D4 and a Nikon D810, and uses these cameras to make the waves as his photography’s main and central theme. 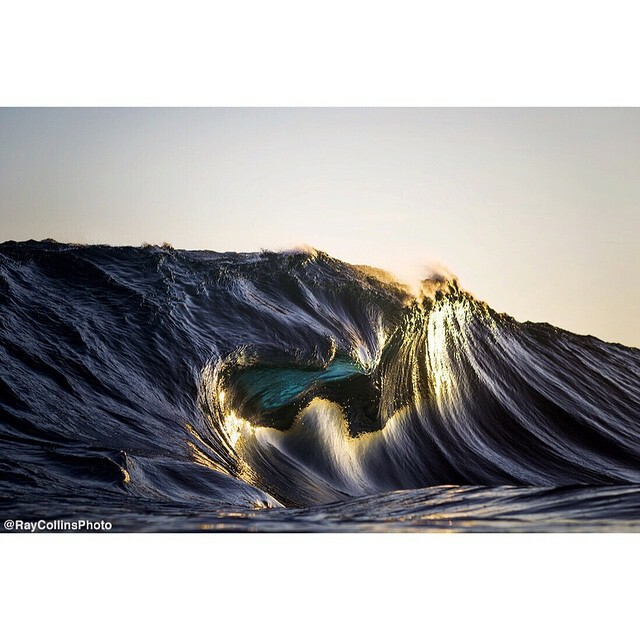 Just very recently, his photograph shot from a helicopter graced the cover of SURFER Magazine’s Big Issue on climate change. 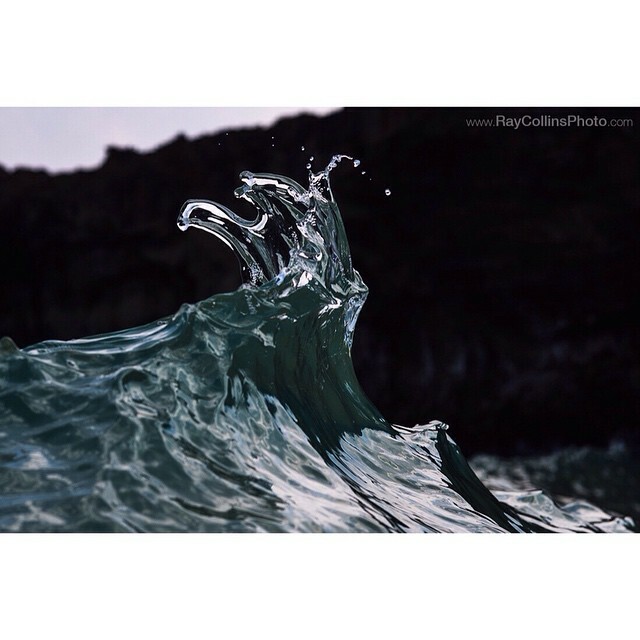 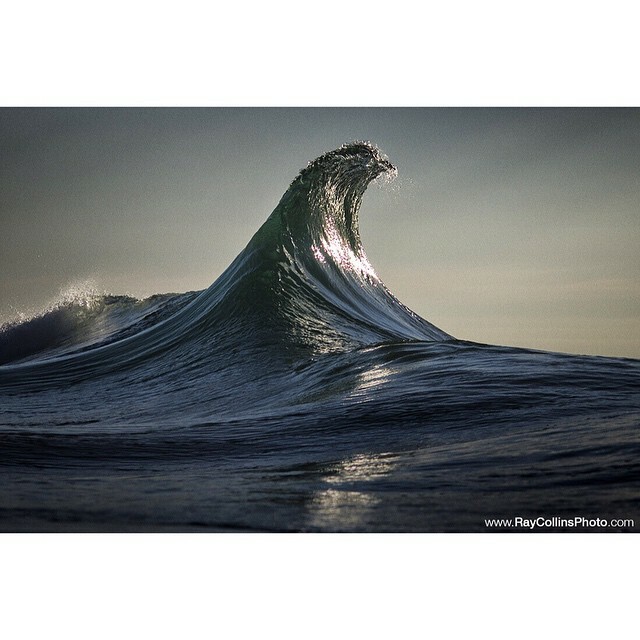 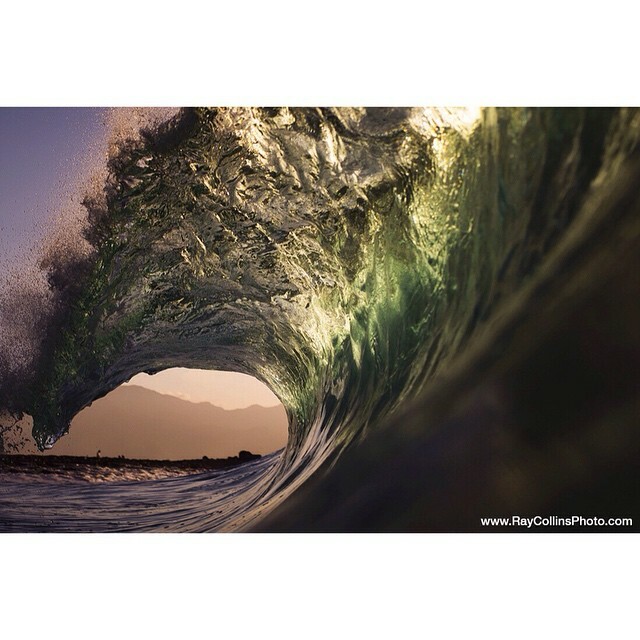 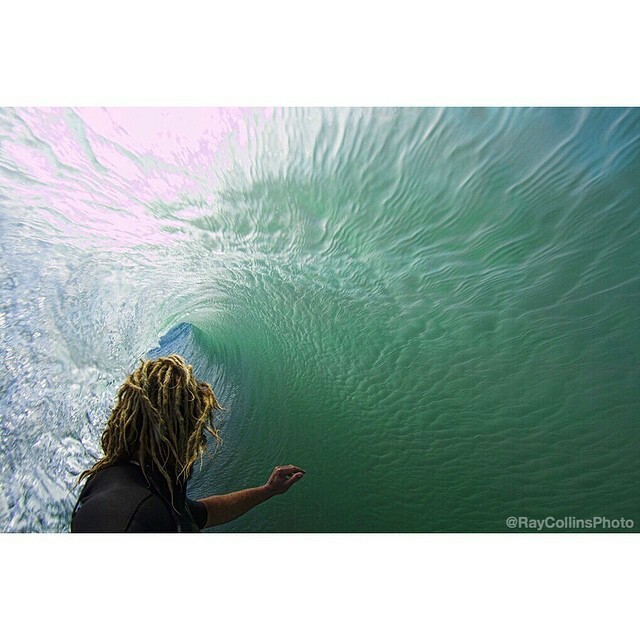 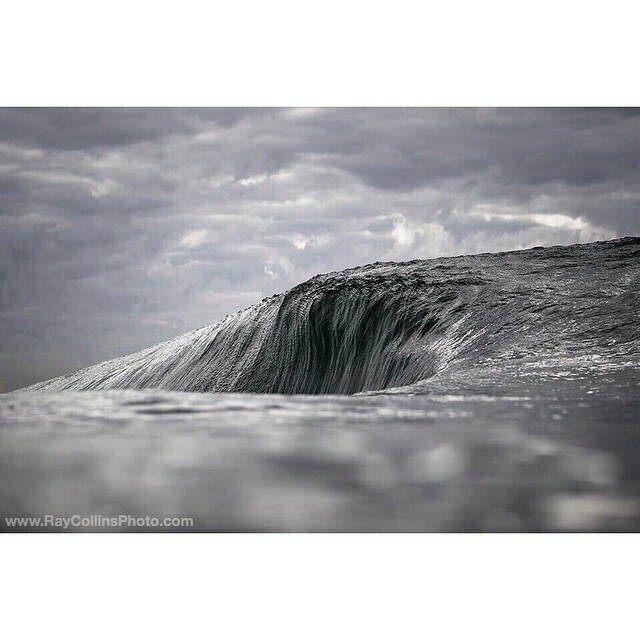 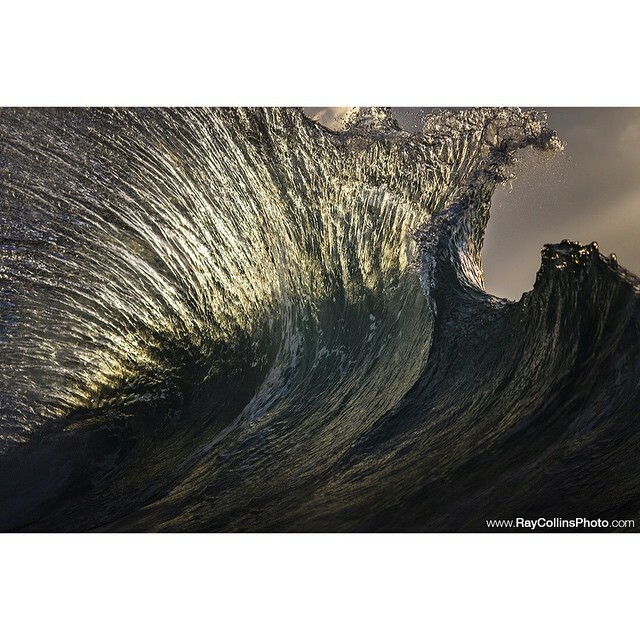 To see more of Ray Collins’ photography please check out his website as follow his Instagram. 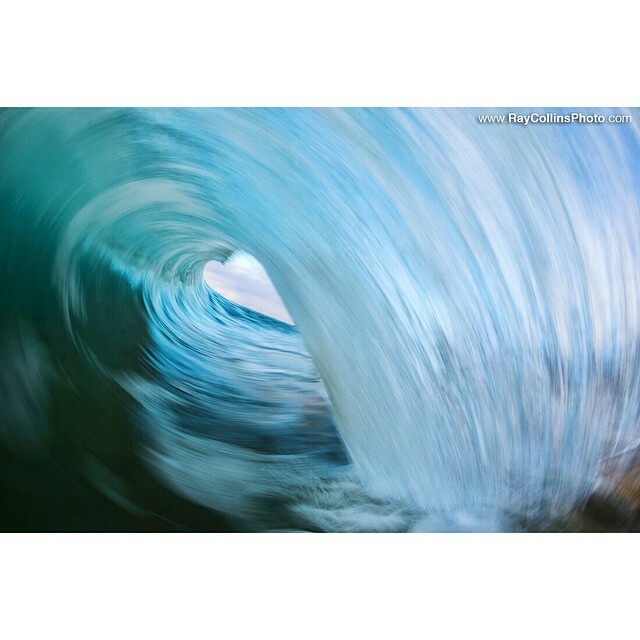 You can also buy his book, Found at Sea, which comes with a heartfelt foreword written by pro Kelly Slater.